It has been a long debated topic among cream tea purists over which order to put your jam and clotted cream spreads on your tasty scone... So to answer an age old question, what is the right way to eat a cream tea? 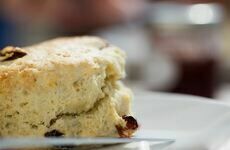 Much of the contention surrounding this argument really stems from County rivalries between Devon and Cornwall and the differing ways they choose to construct the perfect scone. At Classic Cornish Hampers we want to dispel this competitive tension and tell you the best ways to go about making a showstopping cream tea. What Is A Classic Cream Tea? A traditional cream tea from the South West consists of four key components; freshly baked scones, strawberry jam, clotted cream and tea. One of the best things about scones is their versatility - you can have them in the morning, afternoon or early evening and still make a great impression without looking like you're making too much of an effort! 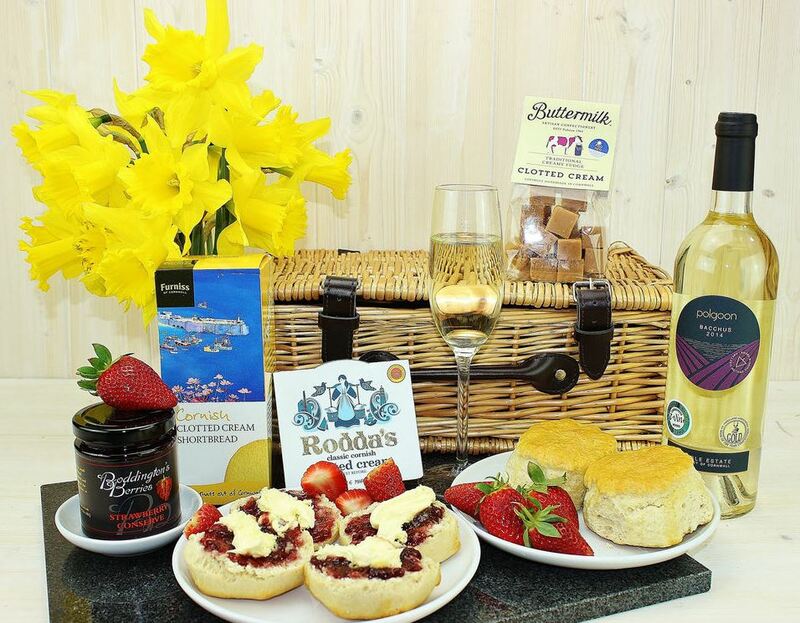 Classic Cornish Hampers have aimed to adhere to the traditional quality and simplicity of the Cornish cream tea whilst adding a lavish twist to the formula, such as our Special Cornish Cream Tea Hamper. For the ultimate taste, everything begins with the base. Each one of our fluffy, lightly baked scones are completely unflavoured and plain for that authentic, rustic quality that really epitomises the traditional country cream tea. Cut the scone in half - purists will say that you need to break it in half with your hands but it's really down to personal preference whether you use a knife or not. If you're a fan of the Devon or Cornish approach to the order of your spreads, thick and heavy clotted cream is a better option than any other alternative. Offering a great support to accommodate your jam spread, our lovely rich double cream has been chosen so you can really indulge with your friends or family. Jam is the real flavour centre-point of your scone experience so scrimping on your favourite strawberry conserve is not an option. Choosing our smooth, sweet and juicy jam, made from freshly picked strawberries is an unmissable option if you're looking to get the best out of your cream tea experience. Our Top 5 Cream Tea Hampers blog contains a great list of our offering, all containing the key ingredients for your afternoon tea. And it's not just about how you enjoy them, it's where! 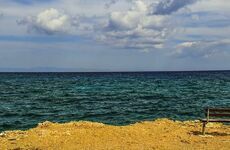 We've put together some brilliant places across the county for you to visit and enjoy. Jam or Clotted Cream First? 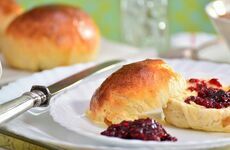 The Cornish Cream Tea Method: The cream on jam approach is much more in keeping with traditional ideas of frugality and saving costly ingredients - the idea being that if you place clotted cream on top, you can use less jam. This is very much open to interpretation and is perfect for recreating that classic Cornish taste. The Devon Cream Tea Method: The go-to option for most people, the Devon option follows the standard jam on cream approach. Considered the most aesthetically pleasing of the two, the jam flavour is slightly more emphasised with this approach. Whether you choose the Cornish or Devon style for your scones, it's really down to your personal tastes and you can rest assured that your favourite teatime treats will always leave your guests feeling satisfied no matter what you do!